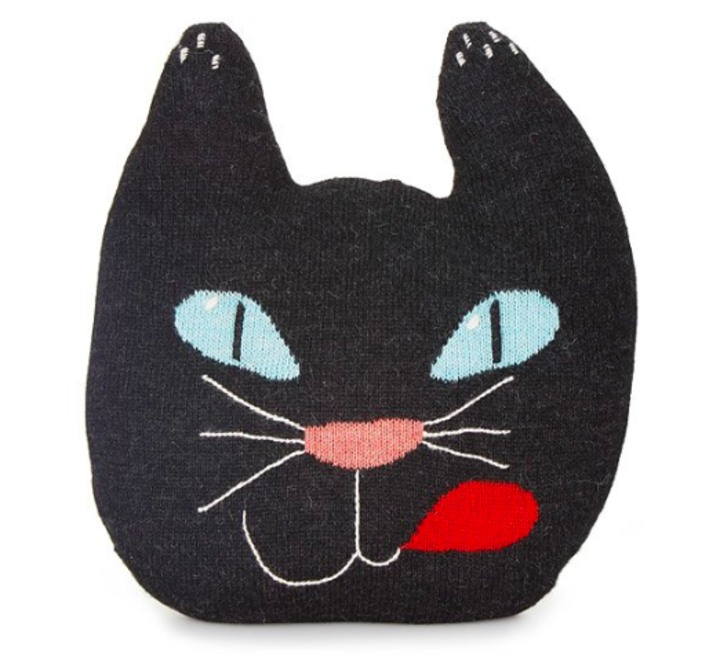 These gifts for cat lovers are the cat's meow! We cat lovers are a very specific breed unto ourselves. Yes, we can become borderline obsessive about our feline housemates. But that's largely because, in my case, a bored cat is a destructive cat. 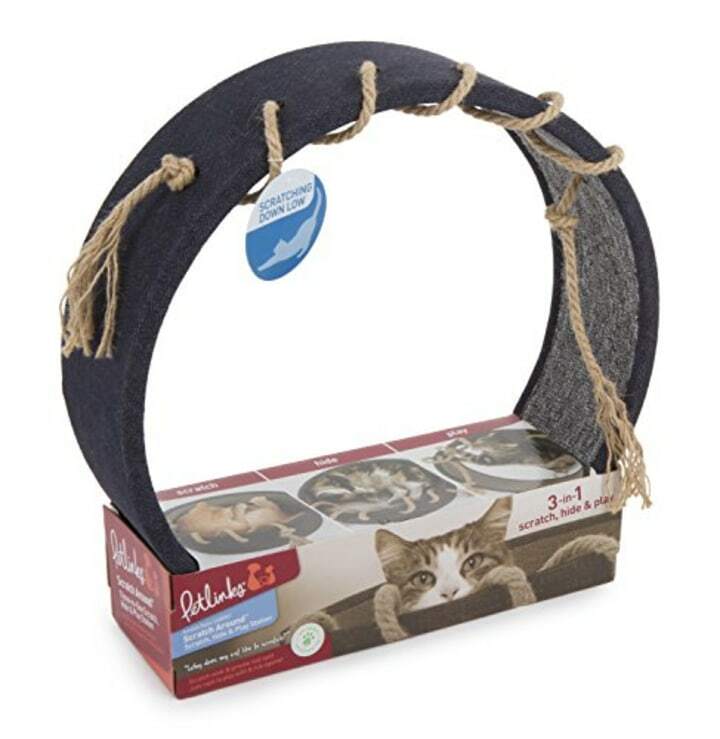 Naturally, finding the best gifts for cat-lovers (or cat gifts to get their feline best friends) can be a hassle. 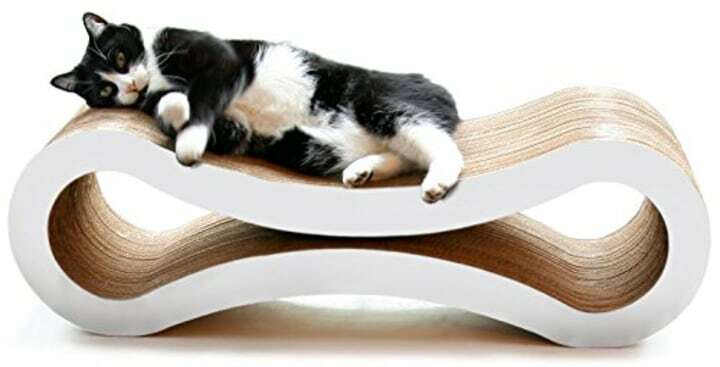 For those of us not willing to turn our homes into elaborately tricked-out play gyms, we look for stuff that works for cats, but isn't an eyesore. 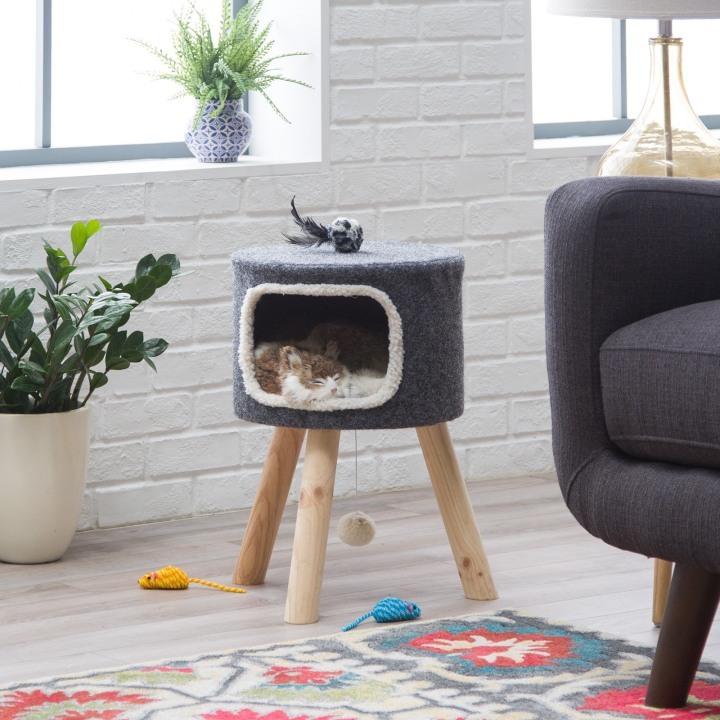 To that end, we checked out heaps of products to find cat gifts that will make your furry friend meow with joy. And, maybe, so will your fellow cat lovers. 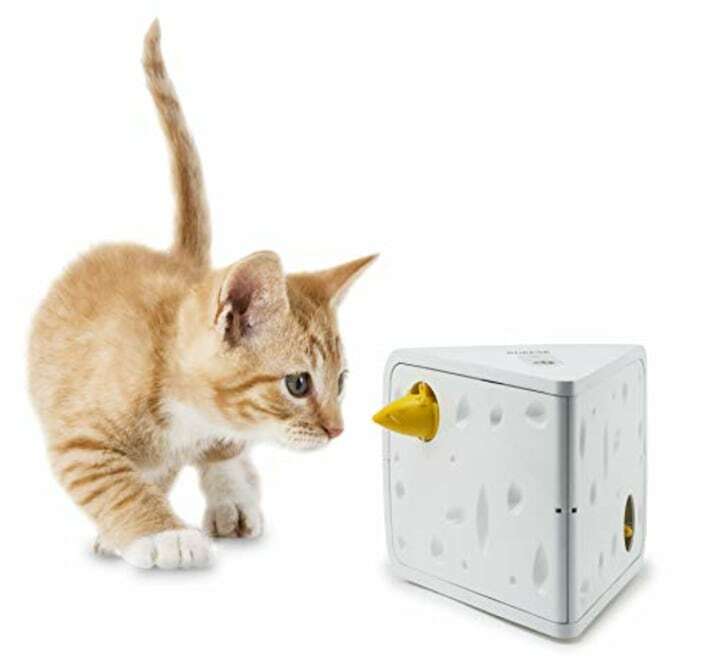 The other day, my fellow editor was asking for tips on interactive toys that keep your cat entertained for hours without having to put in actual effort. This is it, friends. This is it. This toy is cute. This toy is compact. 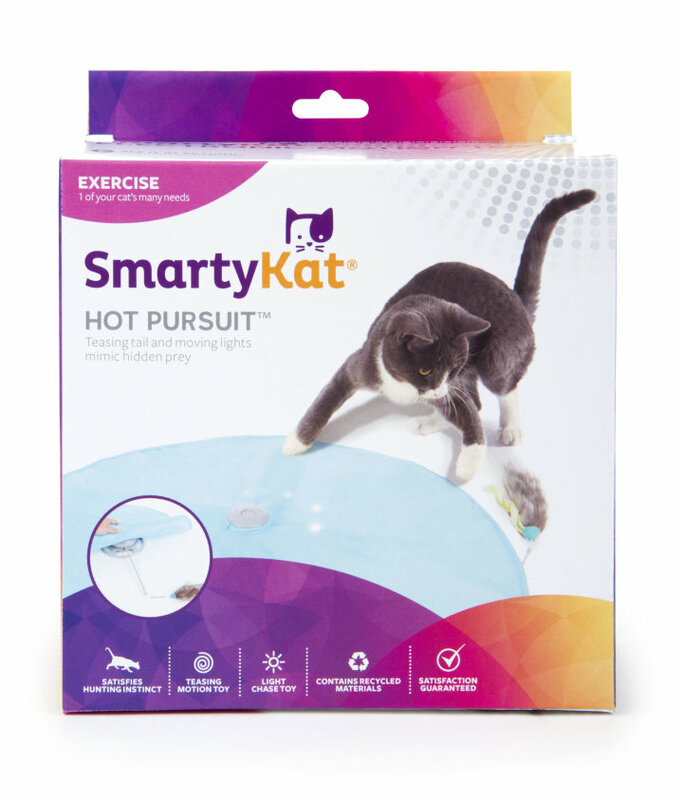 This toy keeps my two cats engaged for an hour or more. Need I say anything else? 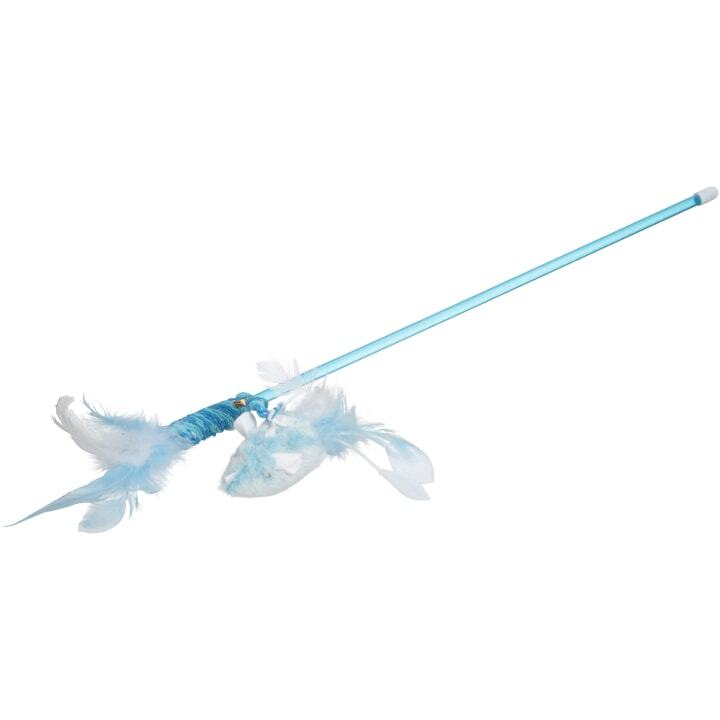 Toilet brushes are not cute ... except for this one. 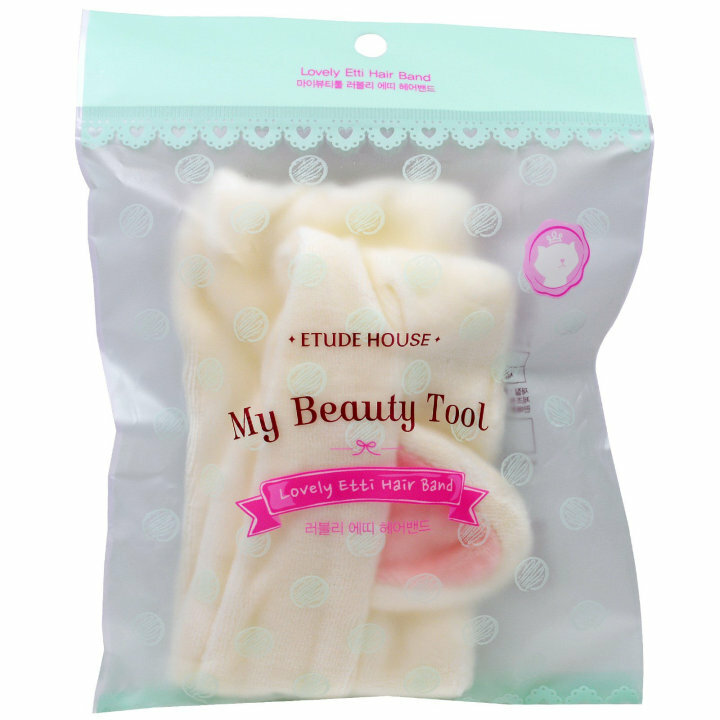 We have truly found the ultimate accessory for your bathroom-cleaning needs. 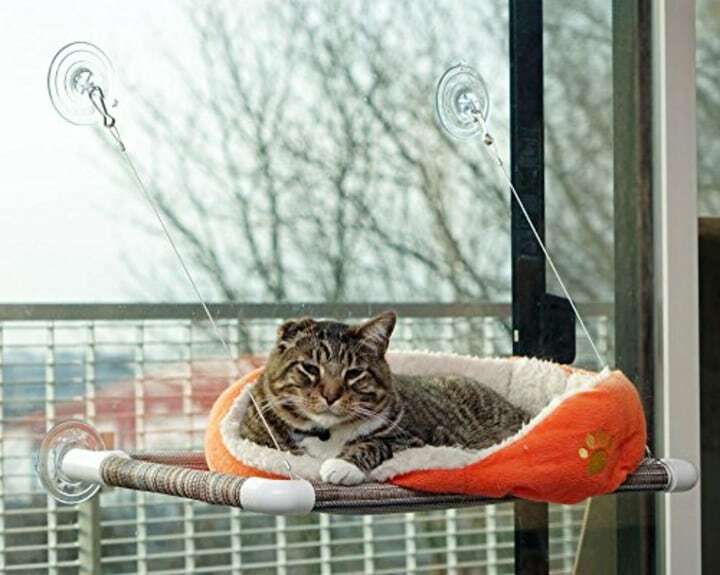 This very innovative creation forces cats to hunt for their food. Amanda Seyfried is not just one of my most favorite interviews, but she's also a major animal lover. 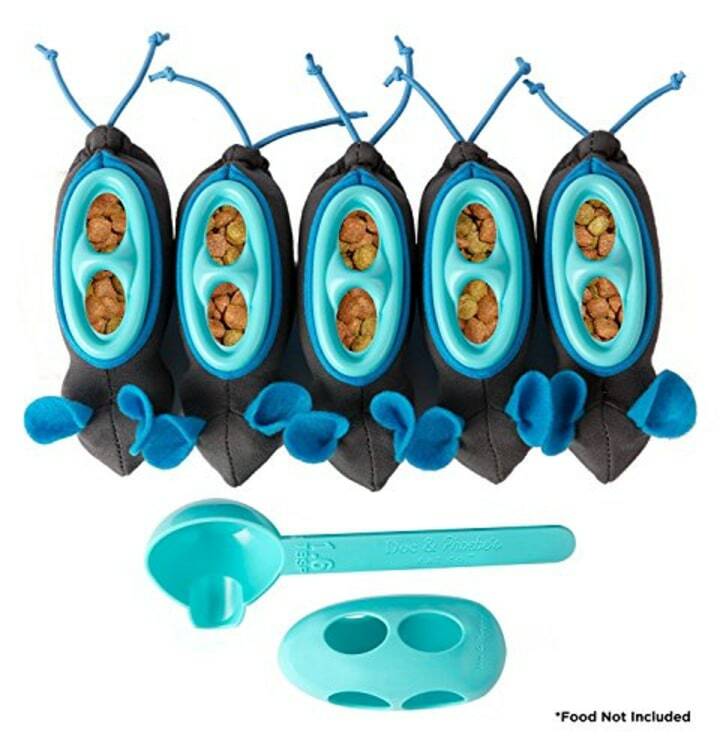 So when I saw her cat playing with this brand of toy on her Instagram, I went and ordered some too. And guess what? My kitties are obsessed. I first spotted this on Jessica Seinfeld's Instagram feed, as she owns two cats. So, I bought it. It's futuristically cool and looks right at home with a modern couch and easy chair. Both of my cats love to get their downtime in it. And, every single person who comes over thinks it's some designer work of art. 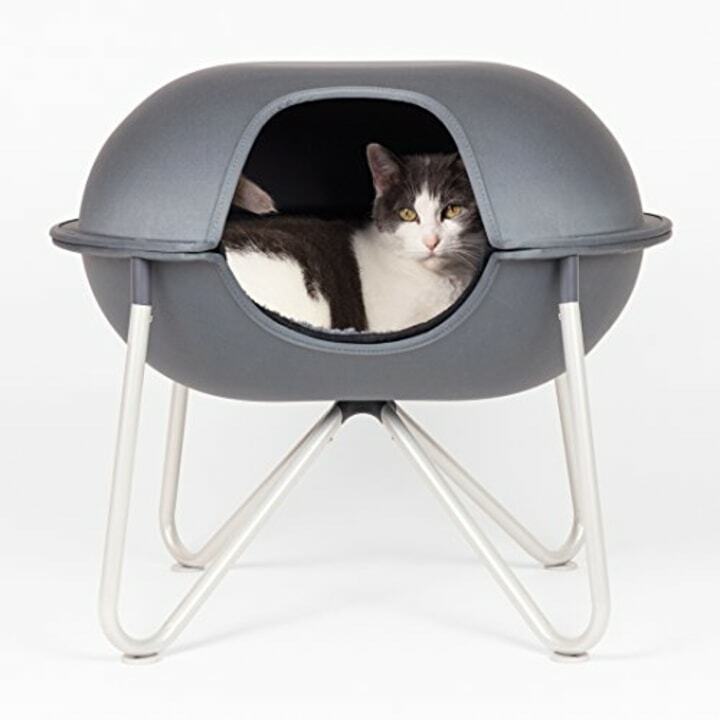 A more traditional and comfy option for those with more space in their homes, cats love to curl up and warm up in here. Cats love being up high, for the most part, and having their own private enclosed space from which to observe the world. 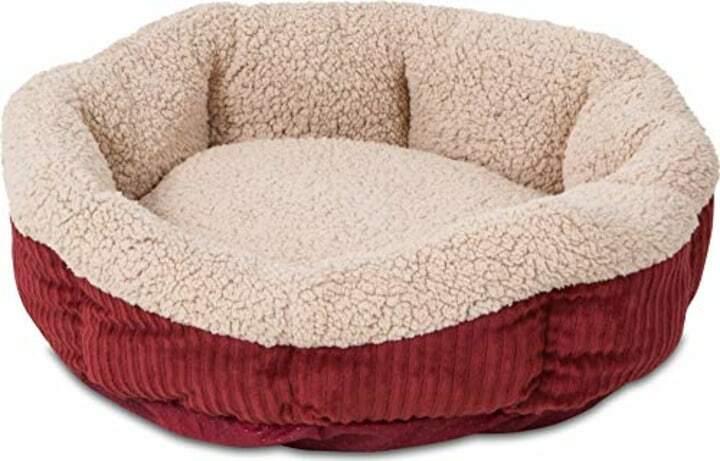 This cat bed provides all of that, and it's lined in a super-soft fabric. This thing is sturdy enough to comfortably sleep my, ahem, rather pudgy elder cat, and both of my felines love snoozing on it. Plus, it gives them an elevated perch from which to spot massive spiders outdoors! It's like cat Coachella! 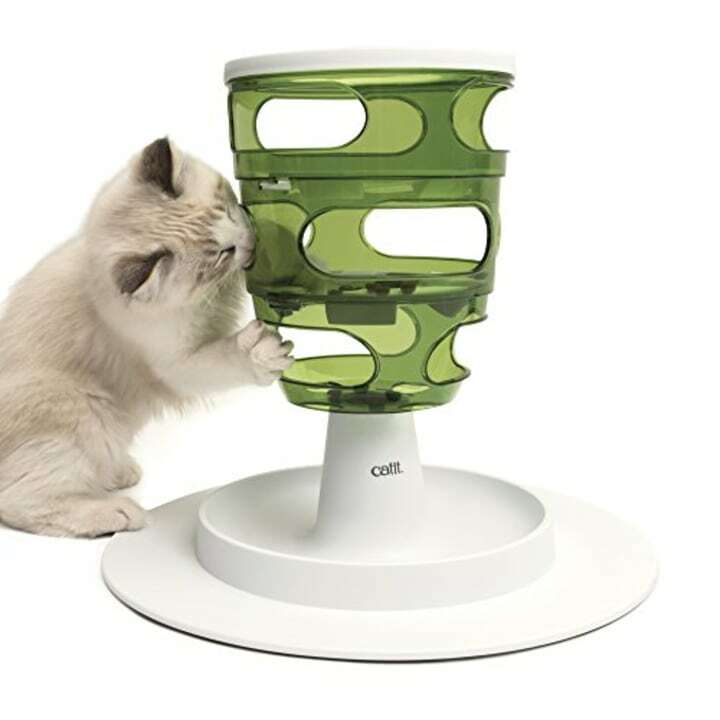 This is the Lamborghini of cat feeders. 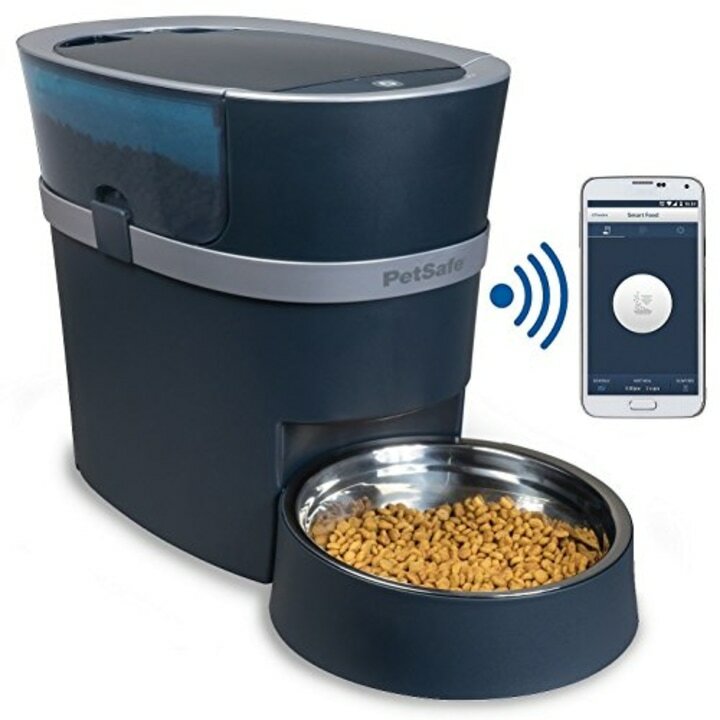 It's fully automated and keeps the bowl full as needed. Plus you can remotely control it from a smartphone and there's zero mess. That's a big, big win in my book. My cats get really bored. As do most cats. Also, my eldest has what we call a horizontal sizing issue. Meaning, she devours food and it shows. This at least slows her down and keeps her busy. Plus, it's really cute. 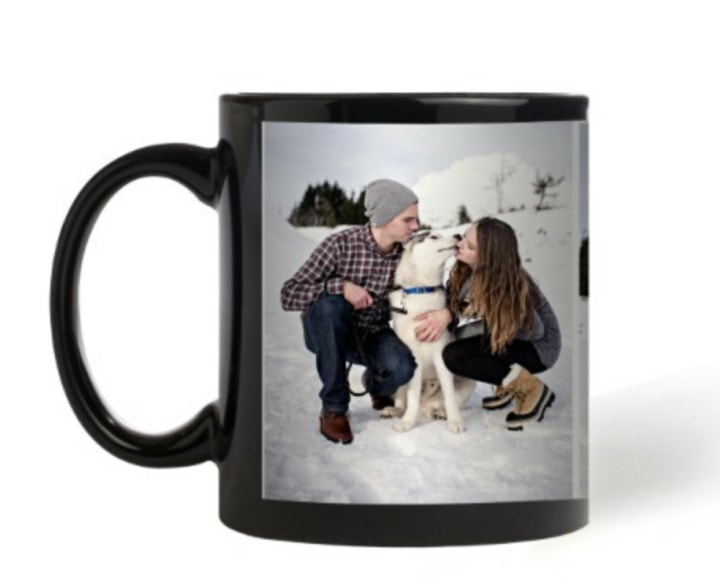 We love this pet bowl because not every pet has personalized merch, but every pet deserves it. 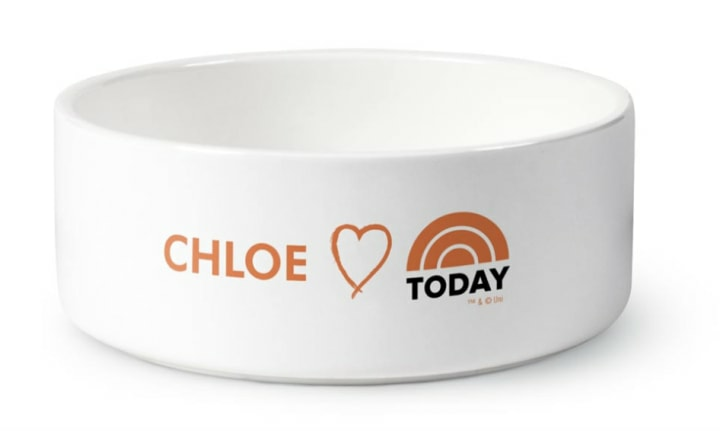 Show your cat how much you love him/her with TODAY's personalized food bowl! My girl and my boy both love this one, and I am crossing my fingers that it spares my couch. Plus it's subtle and unobtrusive. It'ssimple. It's basic. It gets the job done. 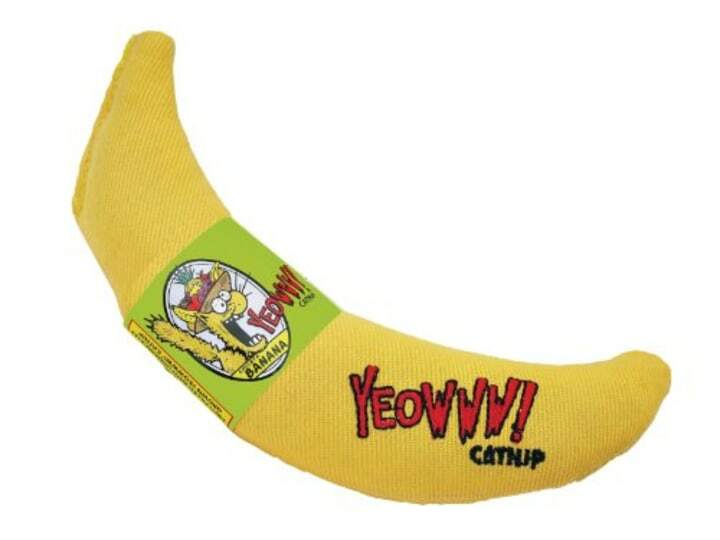 You can shove this into a corner and let the cats go wild. I promise you, they will! This thing is not for those with frayed nerves. It's loud. 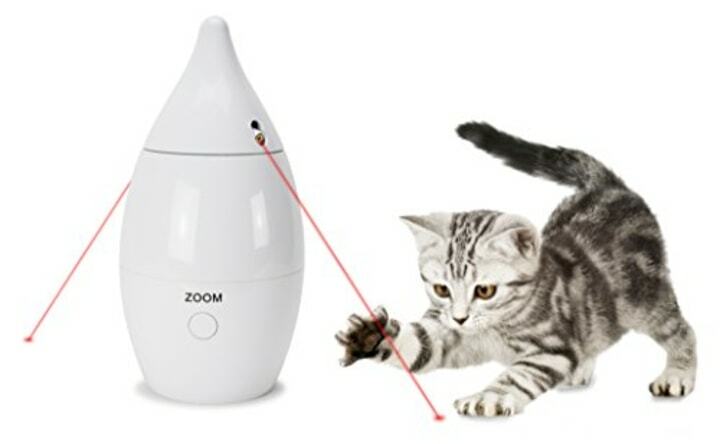 But, it keeps my two cats fixated for hours. The older one just figured out how to turn it on on her own. Lucky me. Another tried and true favorite. Cheap, fun and effective. 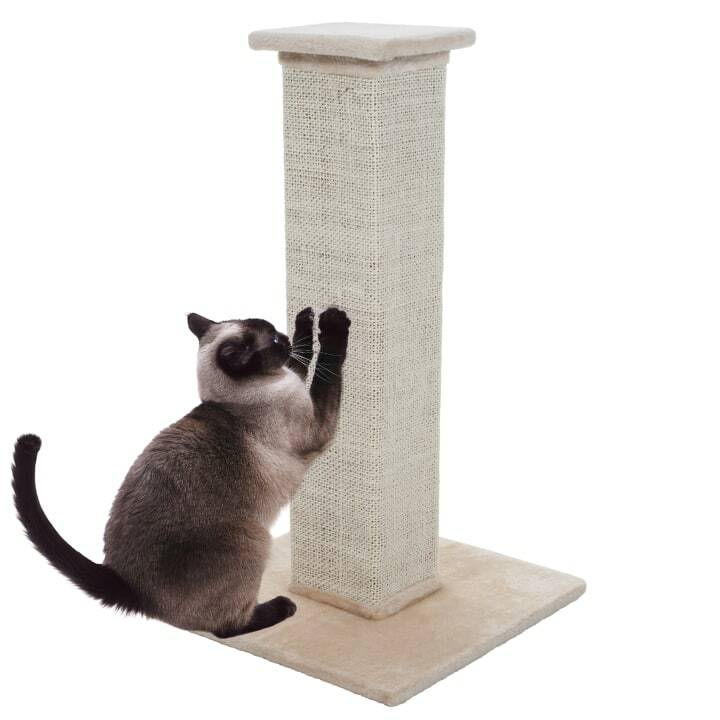 One of my cats loves this thing. He curls up inside and tugs on the rope and scratches here, as opposed to my couch. 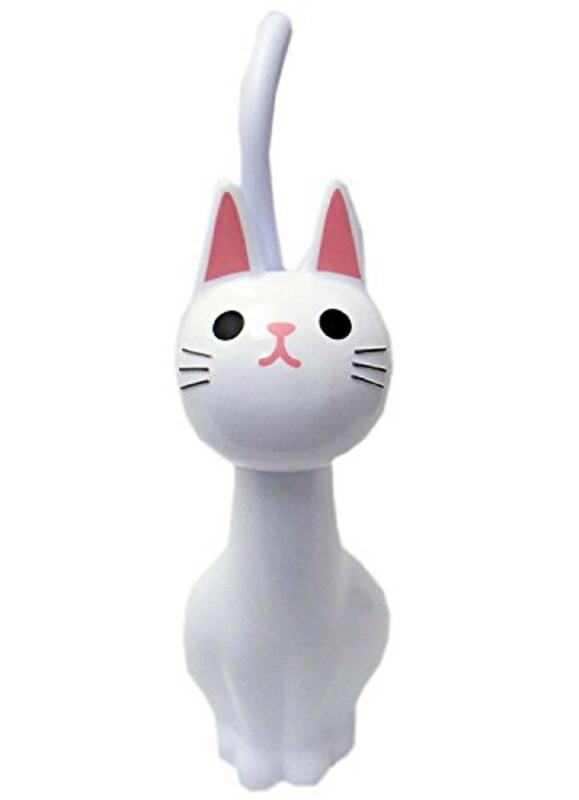 Greet each morning with a meow from this adorable lamp. I love this so much, maybe because it reminds me of my new black kitten (shout out to all the black cat lovers out there). And, it's knit from 100 percent alpaca wool. 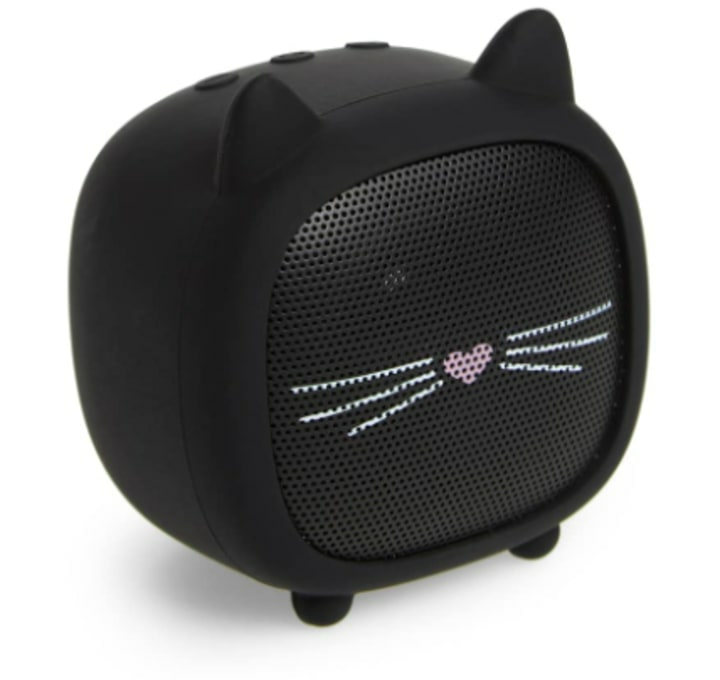 Blast some Katy Perry, who has a cat named Kitty Purry, with this too-cute gadget. 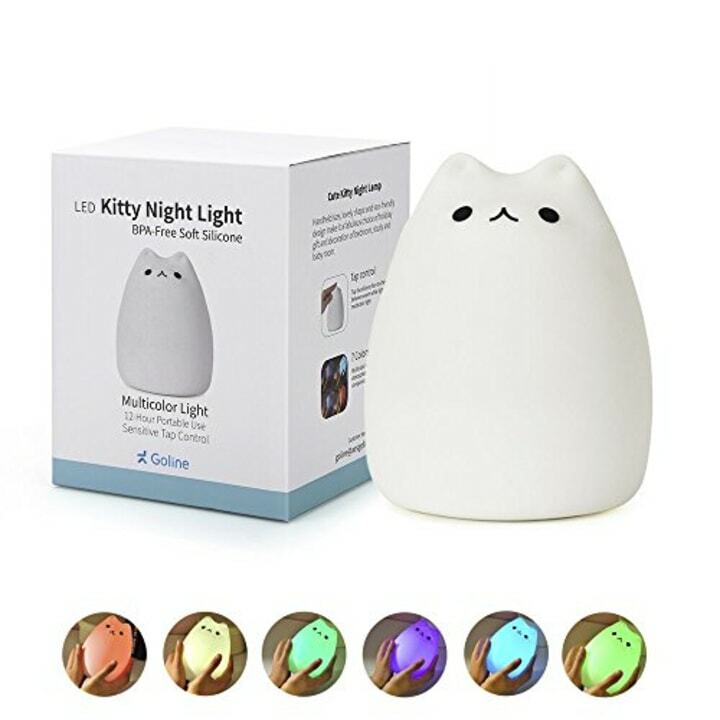 Know a cat lover who also loves beauty? This set of six headbands adorned with kitten ears is purrfect for getting hair out of your face during mask applications. Yes, of course, you could buy a perfectly acceptable but generic cat mug. But, how about taking your favorite photo and getting a personalized one instead? We bet your coffee will taste twice as nice. 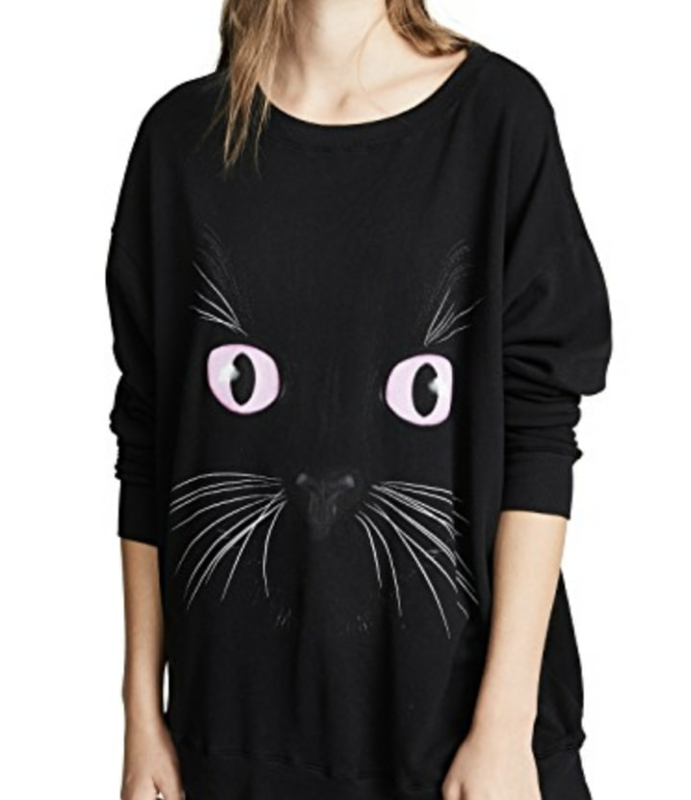 Show your attitude, without baring any claws, in this very cool top.